Geez, finally, like everything in Minnesota this year, they took their sweet time ripening & readying for picking. But here they are, making everyone happy and hungry for strawberry summer treats. I received a whole flat of freshly-picked strawberries from my friend chef Scott Pampuch. 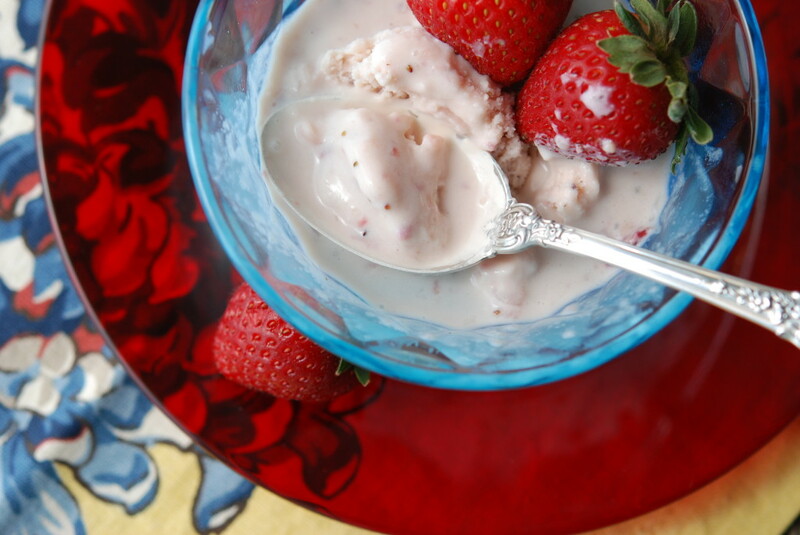 After blanketing juicy slices in buttermilk pancakes for breakfast, I decided to pull together my favorite strawberry recipes from over the years, all naturally gluten-free or easily made so. With berries so sweet and basically perfect on their own, I like to keep things pretty simple and let them shine. Apologies for the blurry phone pic, but if I make these pancakes again for a proper photo, I will eat the whole of their tangy, tender, crisp-at-the-edges goodness, maniacally and without restraint. These are gluten-free buttermilk pancakes, a breeze to stir together. You can crush strawberries into warm maple syrup or lay slices onto the batter before flipping. I love them both ways. The recipe is Marion Cunningham’s from The Breakfast Book (marvelous book). 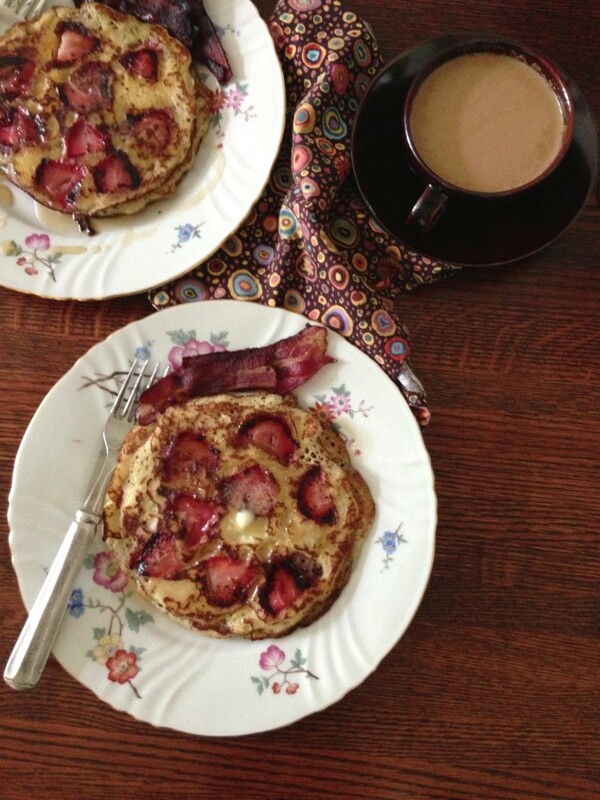 I first raved about it in The First Thing I Ever Cooked: Buttermilk Pancakes (click through for the recipe). 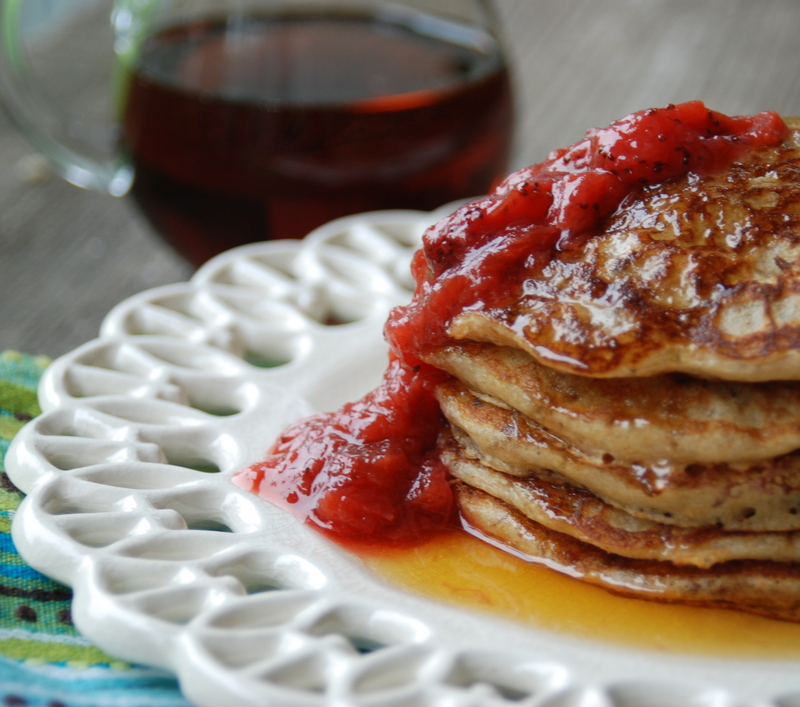 To make the pancakes gluten-free – the recipe adapts gorgeously – substitute 2/3 cup King Arthur All-Purpose Gluten-Free flour for the 3/4 cup of regular AP flour. 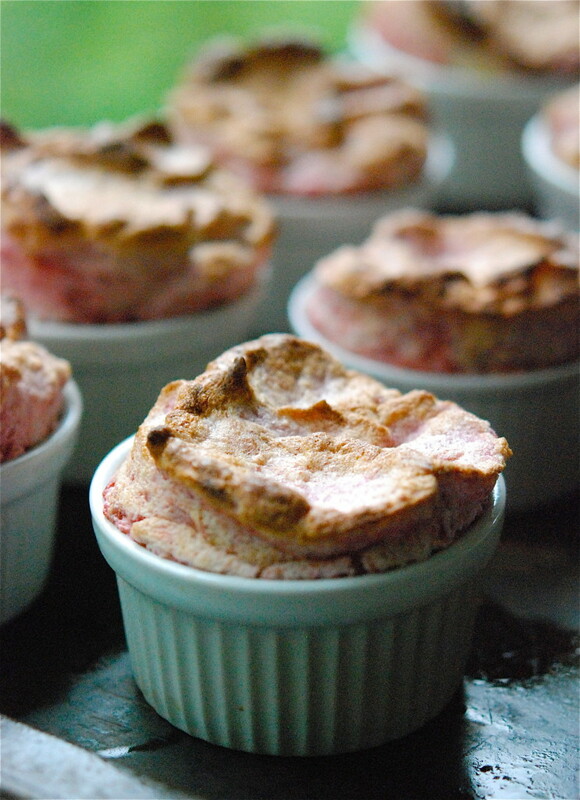 Warm Fruit Souffles are so easy! You might feel deceptive impressing guests or family members with them. Oooh, souffles, so fancy! Not really, but shhh. Eat them warm with whipped cream and sliced berries. 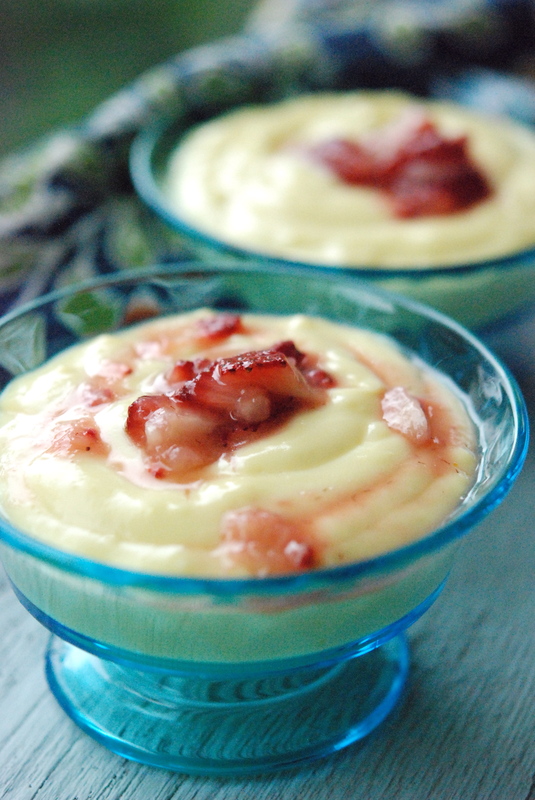 After you make the souffles with egg whites, use the yolks to make Old Fashioned Vanilla Pudding with Crushed Strawberries. Strawberry yin and yang. Everyone loves Strawberry Ice Cream. Make a couple of batches to preserve the goodness. Serve scoops atop the crisp below for decadent berry-on-berry action. 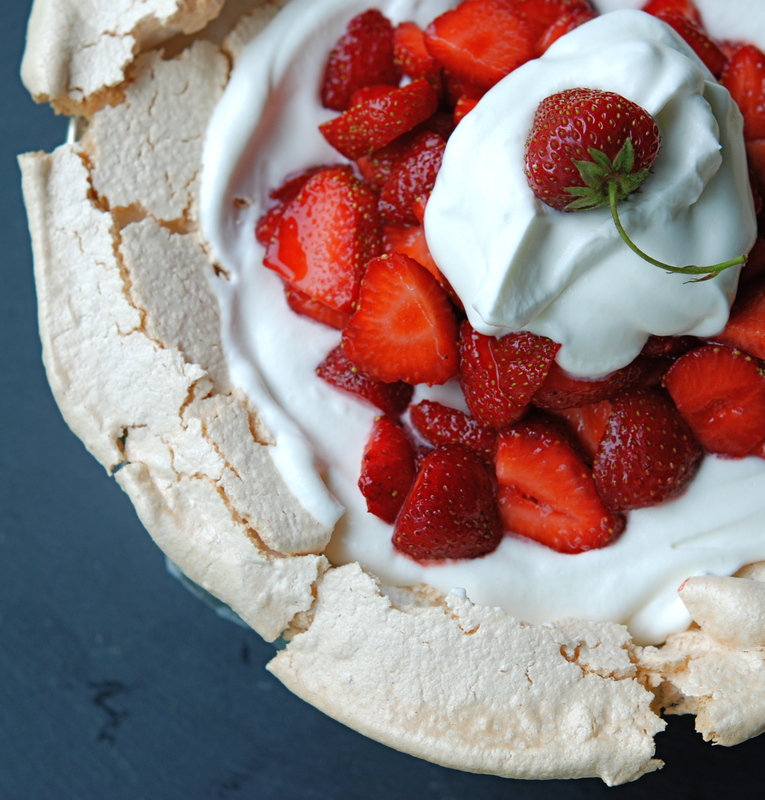 Schaum Torte is Wisconsin’s version of a Pavlova, in effect a large, crusty meringue, punched in the middle and filled with beer and cheese. Or whipped cream and fresh berries! This is a do-ahead party pleaser that I should have re-posted before the 4th. Sorry about that. (Make Chocolate Ice Cream with the eight leftover yolks!) 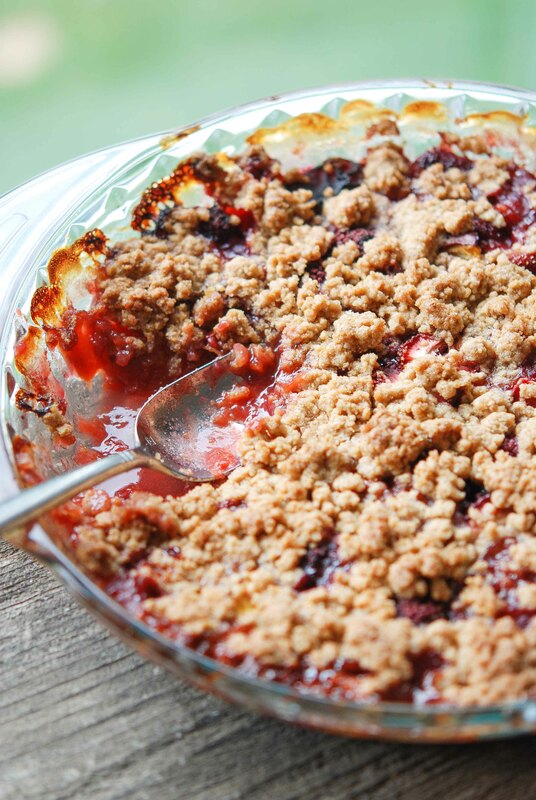 And when you end up with more ripe fruit than you can eat out of hand, make a Warm Fruit Crisp. Cherries, berries, peaches, plums, in any combination, all are so unbearably divine in a crisp. Toss fruit with a bit of sugar, pile messily into a pie dish, pat on the gluten-free topping, and bake. 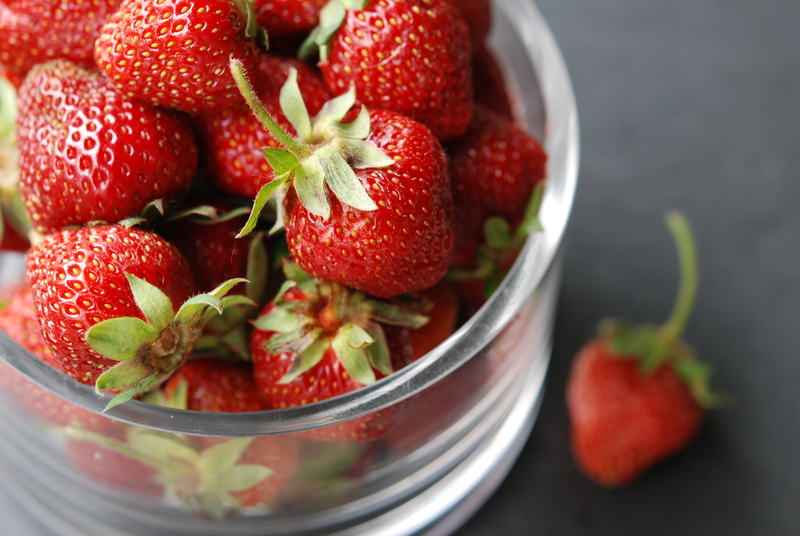 We eat them for any meal – breakfast might be the best of all – warm with (strawberry!) ice cream. 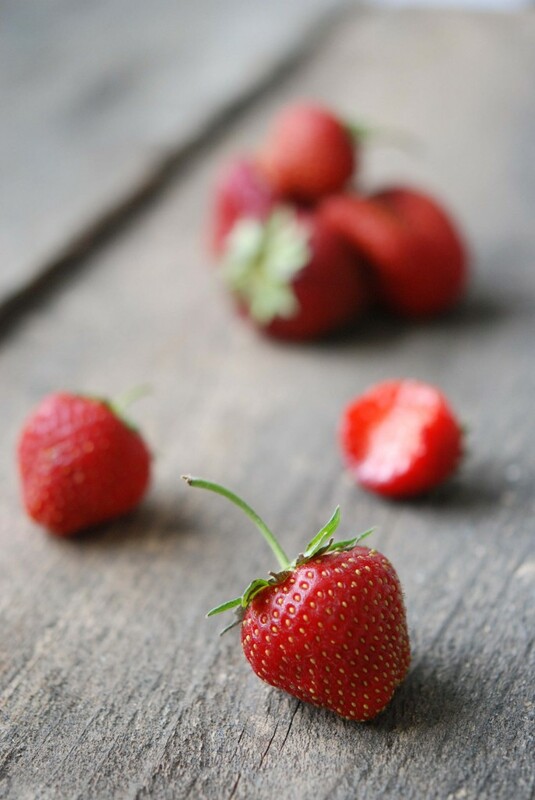 I passed along some of the strawberry bounty to my friend Zoe Francois of Zoe Bakes. Stay tuned to the gorgeousness she’ll come up with; I’ll link to it here when she’s done. Whee! I’ll be making rhubarb-strawberry sauce and processing it to enjoy in February when we’re all insane with seasonal affective disorder. I’m also going to play with gluten-free, grain-free biscuits for strawberry shortcake. If you never see a post, you’ll know that they sucked.